Saving the World from Evil...again! Video games, tabletop games, CCG, gamers, gaming culture, and getting good deals are my passion. 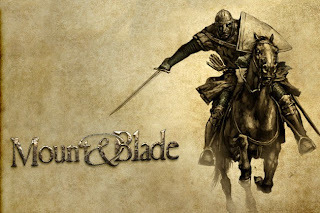 Mount & Blade is free on GoG.com (Good Old Games) as a promo for their current 2014 DRM-Free Big Fall Sale. But be quick, it's only available for a limited time! There's about 40 hours left on the clock as of this post. They will be having lots of daily specials, though, so if you miss this deal, you might catch another great price on a game that's been on your wishlist. GoG is a great place to stock up on PC games from the good ol' days of gaming and even current titles. Dip your toe into the crazy-end of this shark-infested pool. You'll thank me later. All content by Sarah Kate Hunt unless otherwise attributed. Picture Window theme. Theme images by ULTRA_GENERIC. Powered by Blogger.